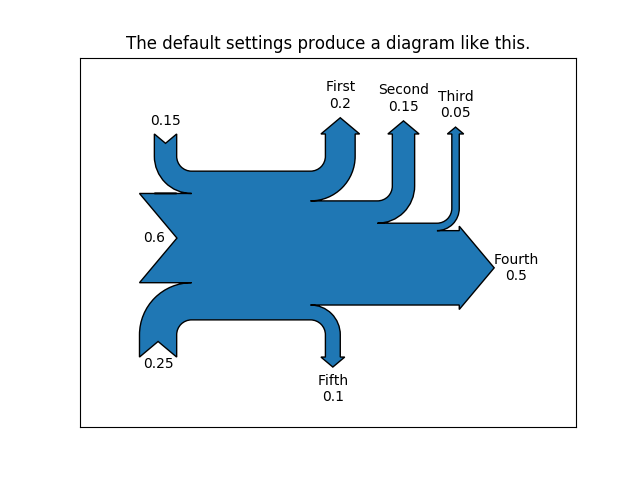 Demonstrate the Sankey class by producing three basic diagrams. This demonstrates how to create a simple diagram by implicitly calling the Sankey.add() method and by appending finish() to the call to the class. Axes weren’t provided when Sankey() was instantiated, so they were created automatically. The scale argument wasn’t necessary since the data was already normalized. By default, the lengths of the paths are justified. Since the sum of the flows is nonzero, the width of the trunk isn’t uniform. If verbose.level is helpful (in matplotlibrc), a message is given in the terminal window. 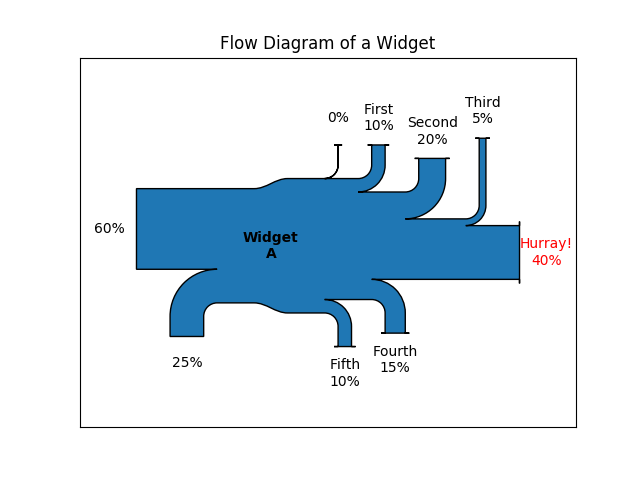 The second flow doesn’t appear because its value is zero. Again, if verbose.level is helpful, a message is given in the terminal window. 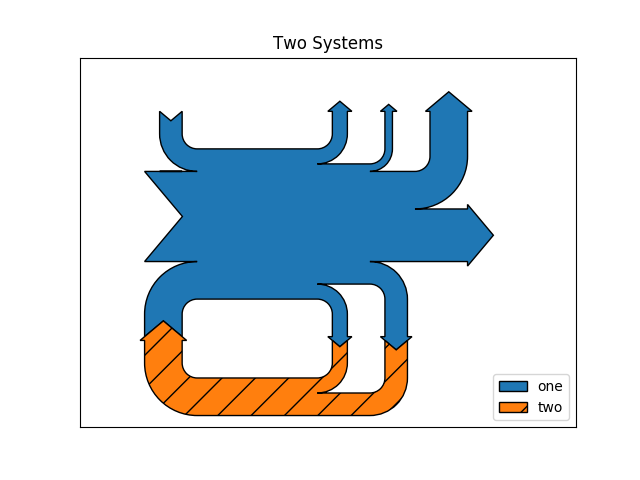 Notice that only one connection is specified, but the systems form a circuit since: (1) the lengths of the paths are justified and (2) the orientation and ordering of the flows is mirrored.